I hope everyone had a fabulous 4th! We enjoyed a pretty low key day, barbecuing with family and watching the fireworks. And of course we ended our night with some good old fashioned s'mores. You can't beat that! For dinner I made balsamic herb chicken on the grill, homemade BBQ baked beans, a giant, fresh salad, and sparkling strawberry lemonade. (Recipe for the lemonade coming soon!) It was so nice and stress free! These cute little tarts are best eaten the same day, but if you happen to have any leftovers storing them in the frig would be best. The tarts will soften and lose their crispiness the longer they sit out. Preheat the oven to 350 degrees. Set your fillo shells on a baking sheet. 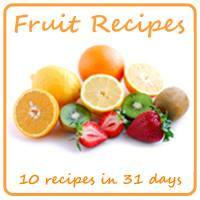 In a small bowl, whisk together the sugar, cornstarch, 1/2 tablespoon lemon juice and zest. Add the chopped strawberries and mix gently. Add about a tablespoon of the strawberries into each of the fillo shells until they are all full. 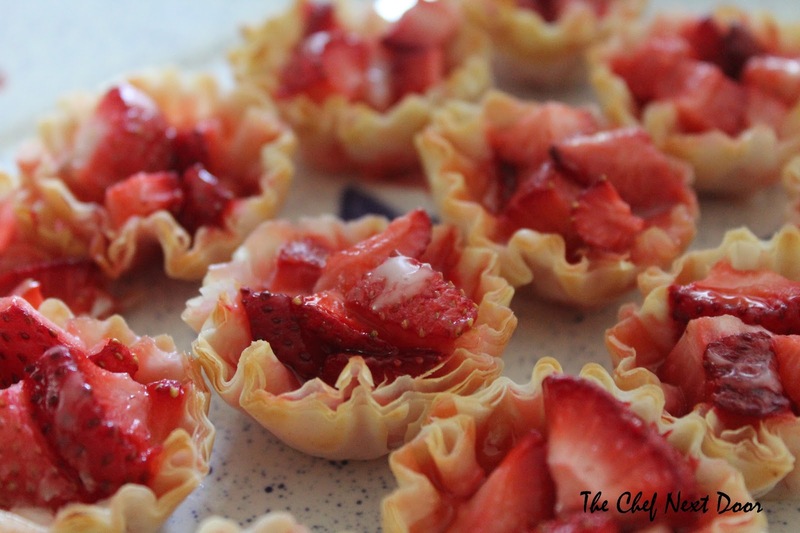 Bake at 350 for about 12 minutes, until the shells are slightly crisp and the strawberries are warmed through. Remove from the oven and allow to cool slightly. While the tarts are cooling, make your glaze. Add the juice of half a lemon to a bowl and add the four tablespoons of powdered sugar. (Adjust these amounts if you want your glaze to be thicker or thinner) Drizzle the glaze over each of the tarts. Serve immediately.